Ashland KY Pro Local Onsite Computer PC and Printer Repair, Network, and Voice and Data Cabling Services. Computech Technology Services provides high quality professional onsite computer PC and printer repair, network and high speed voice and data cabling services throughout Ashland and the entire Boyd County area. Our experienced, industry certified onsite technicians travel directly to your location to perform our full range of onsite computer, printer and networking technology services. We cover a large area around the metro area of Ashland, up to and including Huntington WV, Portsmouth OH, Charleston WV, and all the way to Paris and Winchester Kentucky as well. From onsite computer repair to printer services, and from network installation and configuration to voice and data cabling troubleshooting and repair, we have you covered with our fast and affordable onsite services. Give us a call today and find out why so many Ashland KY businesses rely on our superior onsite computer PC and printer repair, network, and voice and data cabling services to keep their onsite business technology up and running like brand new! (859) 780-3020. Ashland KY’s Best Onsite Computer PC and Printer Repair Services. Computech Technology Services provides quick, professional onsite computer PC and printer repair services throughout Ashland. Our highly experienced, industry certified onsite computer PC repair technicians are available to service literally any type of computer issue you may be having on a wide variety of equipment from desktop and laptop to workstation, server, and point of sale terminals. Whether you are having hardware issues such as failed hard drive, motherboard, RAM and CPU or having software problems like Windows Operating System errors, BSOD, system crashes, or need virus removal, malware removal, and PC optimization services, our onsite PC technicians have you covered, quickly and affordably. Our highly experienced printer technicians are also available to provide a wide range of installation, configuration, troubleshooting and repair services for a wide variety of printers at your location. Whether you have a commercial MFP, laserjet, or thermal bar code or labeling printer, we have you covered, quickly and professionally. From maintenance kit rollers and fuser installations to troubleshooting for no print, lines in print, and paper jamming issues, our printer repair technicians have the perfect solution for you. Our PC repair and printer services are available and in use in virtually every industry throughout Ashland from commercial offices and retail point of sale to hospitality, medical and industrial facilities. We also offer our superior onsite white label smart hands support services to MSP’s with clients in and around the Ashland KY area. Why lug your expensive equipment into a local repair shop or wait forever for some “geek”, “guru” or “pc doctor” craigslist service when you can have a professional PC and printer repair technician onsite at your location today to resolve the problem? The choice is clear. Give us a call today and let us put our superior onsite computer PC and printer repair services to work for you! (859) 780-3020. Ashland KY Printer Installation, Configuration & Repair Services. 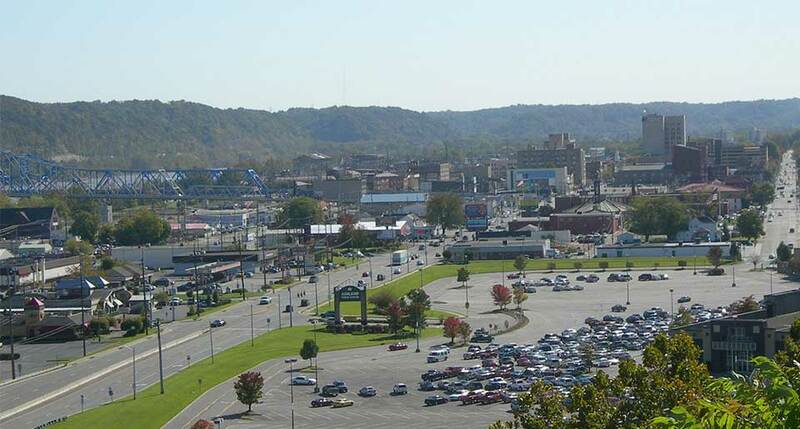 Ashland KY’s Superior Onsite Network Installation, Repair, and Voice and Data Cabling Contractor Services. Computech Technology Services provides superior professional onsite network installation, configuration, troubleshooting, repair and voice and data cabling contractor services in Ashland and throughout the region. Our experienced, industry certified networking technicians are available to perform complete installation and configuration services for a wide variety of high speed voice and data networks, from router, switch, and hardware firewall installation and configuration to troubleshooting and repair for wireless wifi, PBX and VoIP, our networking technicians have you covered, end to end, quickly and professionally. Our onsite cabling pros are also available to perform a wide variety of low voltage voice and data cabling services from complete inside wiring installation, termination and testing to troubleshooting and repair of your existing structured cabling. Whether you need phone and ethernet jack repairs, DMARC extensions, or full service inside wiring installation for one or hundreds of new Cat5e and Cat6 cabling drops, we have you covered, quickly and affordably. All voice and data network services are available for new and old construction locations, commercial office, retail point of sale, hospitality, and medical and industrial facilities. We also offer white label smart hands and onsite voice and data cabling services to MSP’s who have clients in and around the Ashland KY area. It simply couldn’t be easier or more affordable to have all of your networking needs covered with our fast and affordable professional services. Give us a call today and let us show you why so many Ashland businesses rely on our superior onsite networking and high speed voice and data cabling services to keep their business networks up and running like brand new! (859) 780-3020. Ashland KY’s Top Rated Professional Onsite Technology Services. Since 2008, Computech Technology Services has provided high quality professional onsite computer PC and printer repair, network, and voice and data cabling services in and throughout Ashland KY. Our pro onsite techs, industry certified and background checked, have performed thousands of highly successful service calls for thousands of satisfied clients throughout the region. Our on demand, pay as you go services are perfect for businesses who need onsite services and do not have an onsite tech department, as well as onsite help desk admins that need additional onsite assistance for deployments, repairs, and complex issues requiring additional high level support. Our services are also tailored to be perfect for managed services companies who need occasional onsite support for their clients. Our white label smart hands services give you the coverage that you need to meet SLA’s, with no monthly fees or retention contracts, giving you the services that you require, when and where you need them most. It’s as simple as a phone call to our office to get your service call scheduled and our same day and next onsite ETA’s are perfect for all customers needing immediate support at their location. Give us a call today and let us be your go-to vendor for superior onsite computer PC and printer repair, networking, and voice and data cabling services! (859) 780-3020. *For broader coverage needs, we also offer our high quality onsite technology services in the bordering states of Ohio and West Virginia.